A man in a suit checking his cell phone, standing on a city sidewalk at dusk. A young woman wearing a bikini on a secluded beach on the Samana Peninsula in the Dominican Republic. 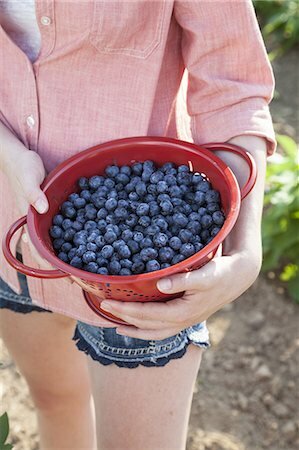 A girl in a pink shirt holding a large bowl of harvested blueberry fruits.